Was 2016 the "worst year ever," the most disheartening, chaotic, awful 366 days of all time? Some alarmists would have you believe that, but 2016 won't retain this dubious honor for long, because every year the world continues to be a chaotic and frightening place. And yet 2016 was an incredible year for literature and culture, with 2017 looking just as promising. In troubling times, we need artists and thinkers more than ever, and we cannot live on long-form articles alone. In that spirit, we give you our 2017 reading list, one book to fit the mood of each month. According to French philosopher Bernard-Henri Lévi, America is currently living out The Plot Against America, an alternate history in which Charles Lindbergh, an anti-Semitic, pro-German candidate famous for his aviation career wins the American presidency in 1940. (Lindbergh did exist, but never ran for president). For people all around the world, this will be an interesting companion to the start of an interesting year. For better or for worse, February is a month dominated by the specter of Valentine's day. 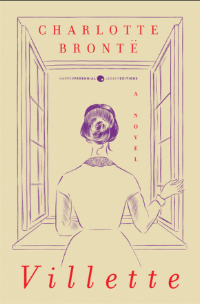 Whether you're single, hopelessly enamored, caught in a loveless relationship, or in the throes of romantic bliss, Charlotte Brontë's tale of a young woman's tempestuous passion for her older colleague will leave you utterly shaken. Let's face it, March--at least in New York--is a tough 31 days: the weather has no rhyme or reason and spring "officially" begins only for the sun to hide until mid-May. To match the bewildering and cruel nature of this month, a suitable literary accompaniment is this collection of dark, alienating stories featuring giant insects, torture, and penal colonies. Come April, when you've already slogged through three long months and it seems like the year will never end, let your spirits be buoyed by Helen Oyeyemi's delightful, dazzling short story collection. Each story opens up a different world infused with magic but grounded in reality where odd, humorous, and touching narratives play out. In honor of International Workers' Day, which occurs on May 1st, anyone who's ever worked in an office should dig into this fascinating history of the American workplace. Saval thoughtfully and stylishly analyzes the architecture, class politics, and gender dynamics of offices and traces the fascinating history of the pseudo-science of management. On June 19th, 1865, news reached Galveston, Texas, that the Emancipation Proclamation had been issued and that all slaves were free. The anniversary of that day, Juneteenth, continues to be celebrated by many African-Americans as the anniversary of the actual (not statutory) end of slavery. In this novel, Hurston paints a portrait of a black woman unafraid to be free, a figure of resolutely carefree blackness in a time when Reconstruction been swept aside by Jim Crow. The dog days of summer demand something sultry on your bedside table, and McCullers' novel of gay and straight sexual intrigue set in a Georgia army base is just the ticket. In a knowing, non-judgmental voice, McCullers spins a thoughtful tale of fetishism, adultery, and class and racial anxiety that reads like a Tennessee Williams play rewritten by Marguerite Duras. This August, whether or not you escape your 9 to 5 and go on vacation, you can dive into this novel about a young man so determined to escape the present that he literally lives in the past with the help of a time machine. This book is engrossing enough to read by the side of the pool, unperturbed by the splashing, and cathartic enough to make you shed a tear in your cubicle. Though many of us have finished our studies for good, September still gives off an ebullient "back-to-school" feeling. In this campus novel that can teach all of us a thing or two about classism, racial identity, art history, and literature, Zadie Smith displays her mastery of the written word and takes takes even the most astute among us back to school. As haunting, horrifying stories go, Bram Stoker, Anne Rice, and even Alfred Hitchcock have nothing on Toni Morrison. 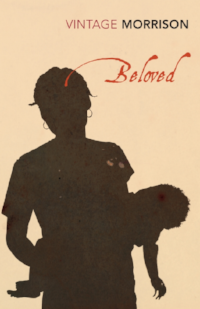 In Beloved, she tells the story of a formerly enslaved woman visited by a specter from her past. It's a ghost story that is all the more chilling for being rooted in everyday reality. November 11th, celebrated throughout much of the world as Armistice Day, commemorates the end of World War I in 1918. Our already volatile, hawkish world is unlikely to be much more peaceful by November, so we could all stand to read or re-read Vonnegut's postmodern anti-war novel--an account of the Allies' firebombing of Dresden that teeters between horror and wonder.